We would like to pay a special thanks to all of our gracious supporters who help us make H.O.P.E. possible for so many. If you are interested in becoming a sponsor or would like more information regarding sponsorship, contact us at your convenience and we will do our best to get you the information you need. A Child's Place Inc. is a child-centered environment valuing children’s play and is sure to spark their imaginations. The primary focus is on the growth and development of the children and forming a partnership with the parents to assist them in child raising. Bon Air is a private country club offering both Golf and Swim memberships. Golf at Bon Air Country Club is not long by championship standards, but challenging due to its undulations and doglegs, relatively small greens, bunkering, water hazards and strategically placed tees. It is fun to play! Brown's Orchards and Farm Market is nestled among the rolling hills of Southern York County Pennsylvania, yet not far off the well-beaten path. Since 1948, Brown's has transformed from a simple roadside stand into one of the region's favorite family destinations. Ciampaglio Potter Associates, P.a. is a Certified Public Accountant (CPA) practice based in Bel Air, Maryland. Ciampaglio Potter Associates, P.a. can assist you with your tax preparation, planning, bookkeeping, and accounting needs. They also offer management consulting services. Fifty years ago, Attorneys Jon C. Countess, Gary M. Gilbert and Peter R. Andrews founded CGA Law Firm. With a team of over 70 attorneys and legal professionals, CGA Law Firm offers depth of experience, passion and skill. While CGA is based in York, the firm serves clients throughout Southcentral PA.
Fulton Bank has been a vital part of the growth and development of south central Pennsylvania, providing strength and support to our community since 1882. They are one of the leading financial institutions in our region. They provide consumer retail and business customers with the best in banking services and products. General Dynamics is a global aerospace and defense company. From Gulfstream business jets, submarines and wheeled combat vehicles to communications systems, people around the world depend on their products and services for their safety and security. Headquartered in Falls Church, Virginia. Glatfelter Insurance Group is one of the largest program managers and insurance brokers in the U.S. As an employee-owned company that has been named among the Best Places to Work in PA, they take pride in their tradition of service. Service beyond your expectations. All your risk management and insurance needs. 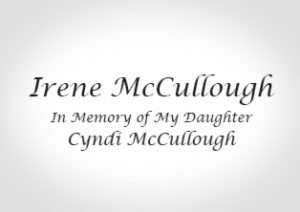 Their experienced licensed funeral directors and team assist families in making choices to care for your family before, at the time of, and following death. From advance funeral and cremation planning, to helping families design the most meaningful experience for their family and friends, their team is there to support you. Kinsley Construction is a full-service construction management and general contracting firm that operates mainly in the mid-Atlantic region of the US. Kinsley’s expertise includes site work, paving, utility installation services and concrete construction. Kinsley now consists of six divisions of the construction industry. Memorial Hospital is a 100-bed community teaching hospital serving the York community for more than 65 years. As a premier medical center, Memorial offers a full array of quality patient services including emergency, maternity, cardiovascular, critical care, surgical (including robotics), imaging, orthopedics, rehabilitation, home health and more. 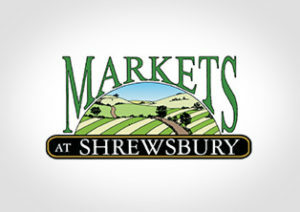 The Markets at Shrewsbury is a Farmers & Amish Market with fresh produce, meats, an on-site Amish Bakery, seafood, many eateries & gift shops too! Their Amish marketplace is centrally located, making them the best farmers market in PA – and they're just a short distance from York, and even Maryland too! OSS Health offers a full range of orthopaedic services in York, Adams and Cumberland Counties. Their urgent care centers offer quick access to ortho care. 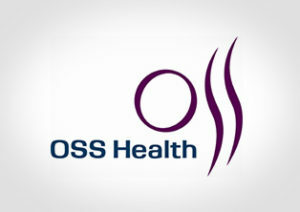 OSS Health is the leader in quality, innovation, and value in meeting their patients' musculoskeletal needs. Their two Urgent Care facilities are open 7 days a week! Skip the ER and go right the to the experts. Saubel's Markets is a chain of four family owned and operated grocery stores located in South Central Pennsylvania and Whiteford, Maryland. Saubel’s currently employs over 300 people…a long way from the original seven in 1966 when the first Saubel’s Super Thrift opened. 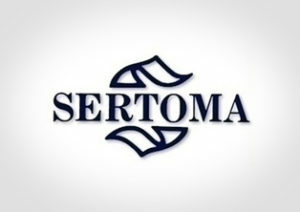 Sertoma is a hearing health nonprofit service organization, helping more than 50 million people with hearing health issues. Their mission and passion is to improve the quality of life for those at risk or impacted by hearing loss through education and support. While a lot has changed since we opened our doors in 1864, like our use of advanced technology, offering digital services, and providing encryption protections to bring you peace of mind, more has stayed the same. Our focus on the local community and our commitment to caring, knowledgeable and client-focused services remains. 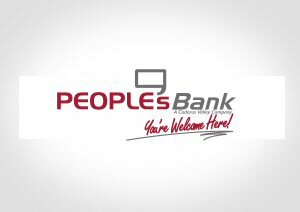 We still welcome everyone to our bank, and we still know you by name. Just like in the 1800s, we like doing business with a smile and a handshake. The Southern York County Business Association (SYCBA) was founded to provide a forum for networking, promotional activities and community service for local businesses. Monthly speakers share information on topics ranging from social media to health care reform. 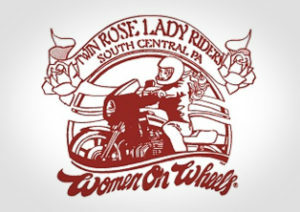 The SYCB is an all-volunteer, non-profit organization. True Value is an American retailer-owned hardware cooperative with over 4,000 independent retail locations worldwide. They have a proud heritage of supporting the success of independent retailers. You will find everything from lighting, heating and bath & kitchen to storage and tailgating supplies. Utz is the largest independent, privately held snack brand in United States, producing over 3.3 million pounds of snacks per week (about half of which are potato chips) while operating over 900 company owned routes. Utz snacks deliver freshness you can taste in every satisfying crunch! Located in Apple Hill Medical Center, WellSpan York Cancer Center offers a full spectrum of state-of-the-art cancer treatment and supportive services under one roof. Services include radiation therapy, medical oncology, surgical services, and outpatient infusion services. 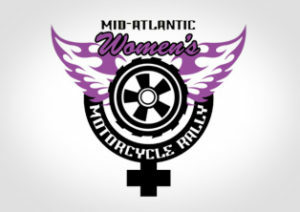 MAWMR, the Mid-Atlantic Women’s Motorcycle Rally, the premiere women’s motorcycling event in the Mid-Atlantic, brings together women motorcyclists & enthusiasts for a 3-day rally of friendship, games, seminars, rides, contests, and fundraising to support women with cancer. Riders from Lancaster, Lebanon, Cumberland, Dauphin, Perry, York, Adams and Venango Counties meet the second Sunday of each month. They have bikes and scooters of all makes and models. Support guys are welcome, too. Motorcycle ownership is not required to participate in our social events.